A website without an FAQ section is considered as a non-responsive portal. Also, most of the user’s queries get resolved automatically when they go through the provided FAQ’s on the website. 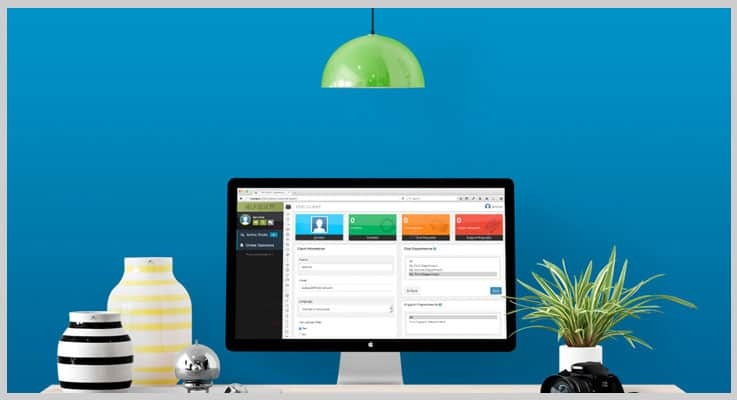 Now when having the FAQ is so much essential, you must be wandering to find a trusted and best-automated solution to include the frequently asked questions segment on your webpage. So, before you blindly invest in some other tools, we are going to reveal the perfect solution for you, i.e. FAQ PHP script. In today’s blog, we are going to discuss some of the best FAQ PHP scripts that are used by every second website owner. One of the prominent reason is that these scripts help you to initialize not just the FAQ segment, but also support blogs/articles & feedbacks on your webpage. Also, you can provide various categories and subcategories of the questions to have a systematic questions-and-answers segment. Plus, admin can make all the required customizations like adding, editing, or deleting the FAQs & support articles and moderating comments in the blog thread. You must be eager to know more about these fantastic scripts in detail. 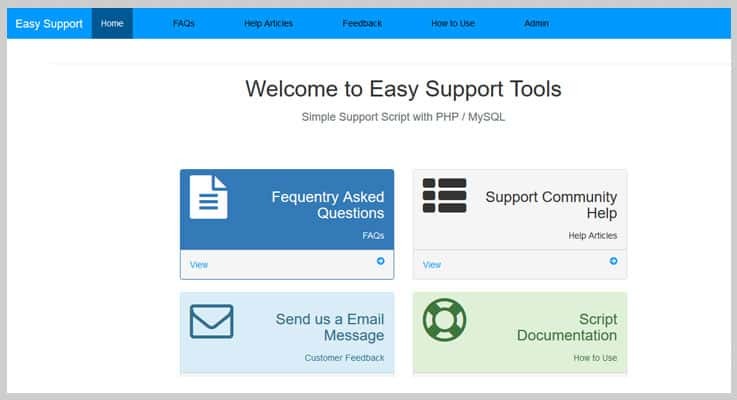 HelpDesk 3 is a responsive PHP script that allows embedding live chat, support blog, articles & FAQ in any kind of website. You can utilize the ample features of this script with one-click installation. Moreover, this SEO friendly solution allows 25 permission level for the operators. Buy this FAQ script at an affordable price of $39 and get 6 months support along with it. In future, if you wish to extend the support to 1 year, just pay $12.75 additionally. With this script, the webmaster can provide a mobile-optimized live chat (where attachments can be uploaded) option for support. In addition to this, you can also have a group chat up to 50 clients. Further, you can enable a chat-bot system in the chats. In this way, auto answers will help the users for time being until you handle the client. Similarly, you can also set standard responses to cut down the efforts for giving redundant answers. The analytics helps to log various things such as total visitors, response & bounce rate, chats history, messages that are awaiting the reply, total tickets (open/closed) and a lot more. This PHP script is also equipped with support tickets, email to tickets which helps you give a quick and exact response to customer queries. 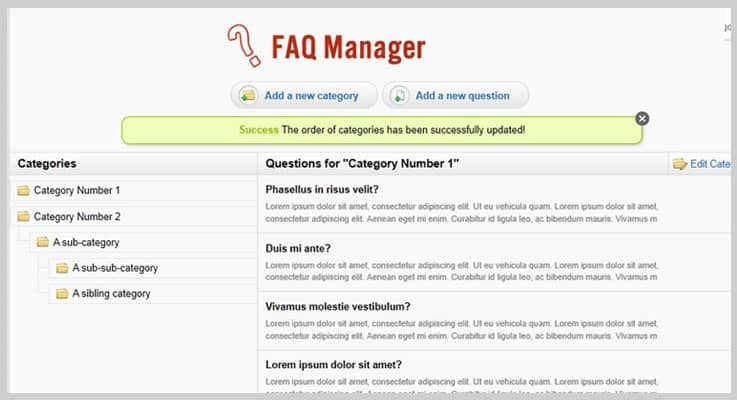 It is one of the best & widely used FAQ management system. With FAQDesk, you can create and handle the support section of your webpage very effectively. Further, the script is created using the Laravel framework and provides a very clean user-interface for the users. You can have this amazing FAQ PHP script at a very reasonable price. The regular license is available at $8 while the extended license can be purchased at $55 only. Also, you will get a dedicated support for 6 months with this pricing plan. If you wish to extend this support to 12 months, just pay $1.13 extra. It allows you to categorize the questions that you post in the FAQ section. For example, divide the section into general questions, payment question etc. This script allows the admin to have multiple users. Further, he can assign designations to those users to handle the FAQ content in a coherent manner. In addition to this, it is absolutely compatible with all the modern browsers like Firefox, Opera, Safari etc. Moreover, you will receive free updates for the lifetime after purchasing this product. This FAQ PHP script lets you include FAQs along with help articles, blogs and customer feedback section on your website. The PHP script is created using MySQL & Bootstrap and can be easily integrated for their any kind of websites. Further, the robust admin panel lets you update/activate/deactivate FAQs, support articles & blogs. Also, you can mark customer’s feedbacks as viewed or attended. Purchase this brilliant tool with its regular license available at $17 & extended license at $125. You will also get a 6 months support which can be extended to 1 year at $4.50 only. Webmaster can collect feedback from the user via responsive & Captcha verified feedback form & store them in the database. You can display numerous support articles & blogs with a quick search option along with published and updated date, number of views/likes/dislikes. Furthermore, the support blogs will have comments on the threads and admin can easily moderate these comments for every blog thread. Moreover, the admin panel constitutes the WYSIWYG editor that aid FAQ and articles editing profoundly. This PHP script lets you manage FAQ with much ease and allows you to display the FAQ section on every kind of website in no time. 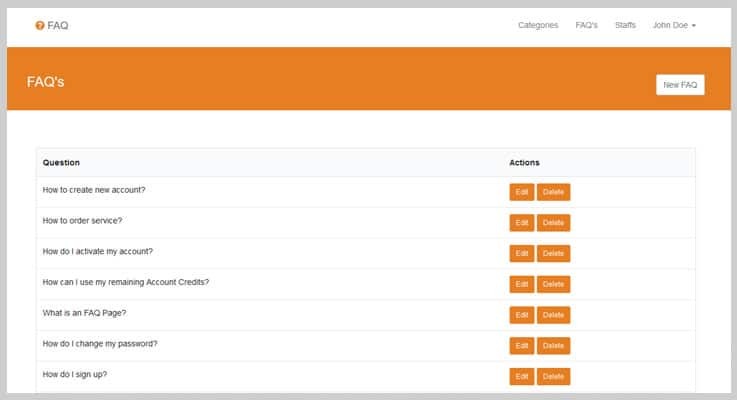 The powerful control panel lets you add/edit/re-order categories of unlimited frequently asked questions. Get this feature rich PHP script at a very affordable price of $14 with the one-time payment option. The script supports 3 display modes for your FAQ section – accordion, single page (using anchors), and multi-page (i.e. one page for every question). You can easily create a category hierarchy which lets you add up unlimited subcategories in the FAQs. The drag and drop functionality is a bliss that helps to re-order the categories and questions with much ease. The script is integrated with WordPress plugin so that you can easily use it on WordPress or any other PHP based website. I am sure you must be excited and ready to use the best FAQ PHP script that we have discussed today in this blog. Well, you are already at a win-win phase, because all of these scripts are marked best in the market and constantly purchased by the users in bulk. These scripts will definitely serve the purpose to the fullest. In case, you find something doubtful or have any suggestions, post your valuable comments in the below section.